The original Tales from the Hood was over 20 years ago and is one that I’ve already reviewed and enjoyed. I was honestly surprised that they would make a sequel after such a long time but I was very much looking forward to watching this. With the passing of Clarence Williams III, the previous Mr. Simms/Satan, I wasn’t sure how they could replace him or if they would just do away with the framing structure entirely. 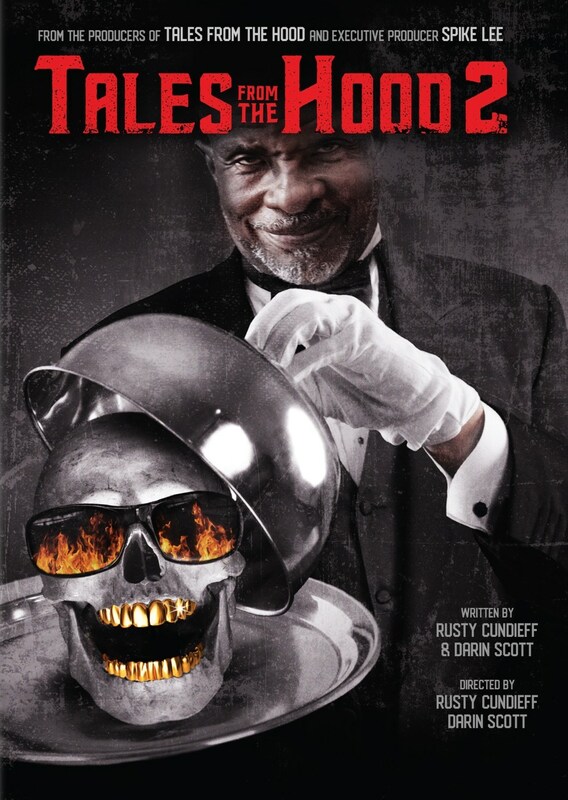 When I saw that Keith David was in this, however, I knew immediately that the character was in good hands. The framing structure has changed from the first movie in that now it is a private prison and policing company that has invited Mr. Simms to tell stories to their prototype learning robot. The owner of the company is Dumass Beach which I will give you a second to say out loud and hey, you got the joke. Really the framing narrative on this one was pretty bleh with Beach basically getting every horrible racist, misogynist, and nationalist stereotype rolled into one and the ending of the movie is pretty clear from word go. As I thought, though, Keith David does a great job in his role. I was glad to see they got the original director back and there were several references to the first movie. This one felt like it had some more money behind it with better effects and also a much heavier subject matter than even its predecessor.